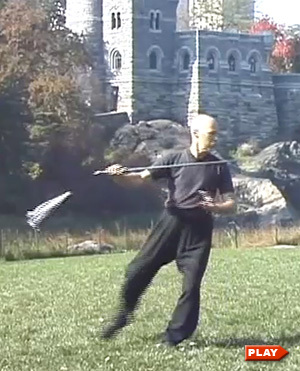 Here are videos from more great martial artists. This channel includes the full contents of the DVDs that contain these clips. "Martial Arts: The Real Story" is from a special that originally aired on the Learning Channel. It explores the roots deep in the past of different systems, developed through centuries of experience in life and death struggles. There are videos of world-renowned martial artists and interviews with experts whose research sheds light on an often murky and misunderstood world and unearths some fascinating and long forgotten stories. 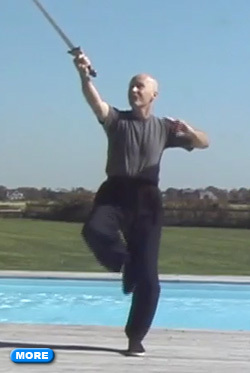 As he goes through the Tai Chi sword form, Master Ken Van Sickle explains the point of using the tassle with the sword. 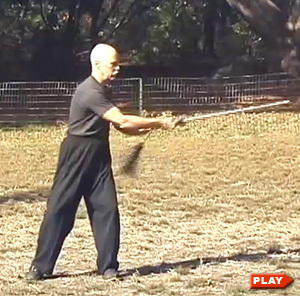 When the sword form is done correctly, the tassle won't slap your wrist, get tangled, or hang limp, and doing the form (and fencing) with a tassle is an advanced technique for further improving Tai Chi skill. Master Ken Van Sickle shows a practical exercise for speeding up sword movement and increasing its power while staying relaxed and fluid. Master Ken Van Sickle is a leading expert in the Yang Sword Form. He studied Tai Chi Chuan with Professor Cheng Man-Ching for eight years and was his primary photographer and cinematographer. An experienced martial artist, who studied saber fencing, was an expert marksman with pistol and rifle, and had awards in archery and Goju karate, Master Van Sickle was a certified teacher for Professor Cheng until his death in 1975 and opened his own school in 1980. 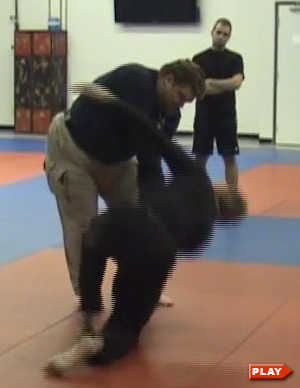 Guru Mike Casto teaches and shows the techniques for disrupting an opponent's balance. He explains the use of imaginary triangles to determine how to direct a small amount of force to cause a major loss of stability. 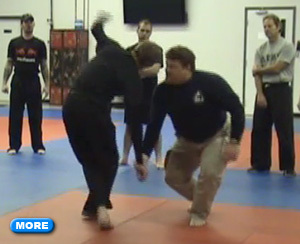 Through examples ranging from simple take-downs to pushes and leg sweeps, Guru Mike illustrates basic principles and moves that can be incorporated into any martial art. Guru Mike Casto is a senior instructor in Filipino and Indonesian martial arts, including Eskrima (7th Degree Black Belt), Kali, Pencak Silat, and Sikal. He specializes in teaching joint locks and balance disruption.